That political scrutiny is not new. 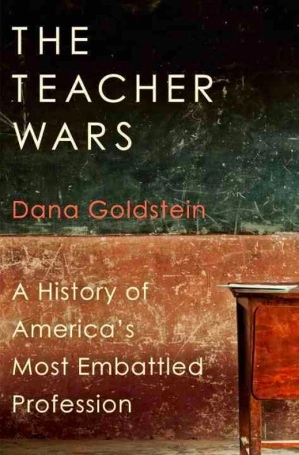 Goldstein’s book The Teacher Wars chronicles the history of teaching at (what has become) the K–12 level, from the early nineteenth century and “common schools" — that is, before before compulsory education and public school as we know it today — through the latest Obama Administration education policies. It’s an incredibly well-researched book that moves from the feminization of the teaching profession to the recent push for more data-driven teacher evaluation, observing how all along the way, teachers have been deemed ineffectual in some way or another — failing to fulfill whatever (political) goals the public education system has demanded be met, be those goals be economic, civic, or academic. So what are the implications – not just pedagogically but politically – of students, their headphones on staring at their individual computer screens working alone through various exercises? Because let's remember: teaching machines and all education technologies are ideological. What are the implications – not just pedagogically but politically – of these technologies' emphasis on individualism, self-management, personal responsibility, and autonomy? What happens to discussion and debate, for example, in a classroom of teaching machines and "personalized learning"? What happens, in a world of schools catered to individual student achievement, to the community development that schools (at their best, at least) are also tasked to support?